To me, a good Devil's food cake has to be distinguishly moist and rich in its chocolate flavour. Otherwise it will be just another ordinary chocolate cake. This recipe suggests using 1) milk chocolate to bake the cupcakes and 2) chocolate not exceed 61% cocoa to make the frosting. 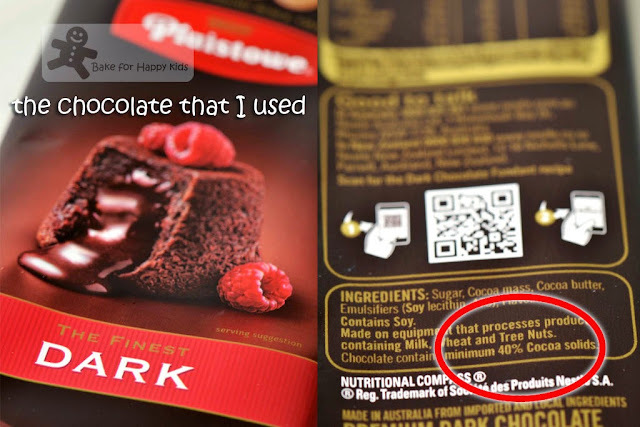 Hence, I'm using this chocolate with 40% cocoa. I started by making this smooth cocoa paste. Instead of buttermilk, I have used yogurt and it works very well too. You can use any neutral tasting oil like canola oil or rice bran oil to bake these cupcakes. This is how I made the cake batter. 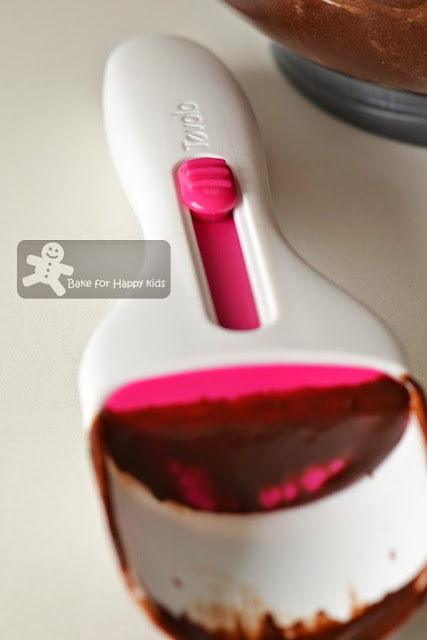 This cake batter is not the thick and viscous kind and yet it is not difficult task for the Tovolo cupcake batter scoop to dispense the batter equally. To use, just scoop the batter and push the plunger to dispense the batter into the lined cups. No drips! No mess! Yay!!! Do not over-bake the cakes!!! I baked mine for only 15 mins and the skewer comes out pretty clean. Next, this is how I made the frosting. To finish, I stirred in the icing sugar to thicken and sweeten the frosting. 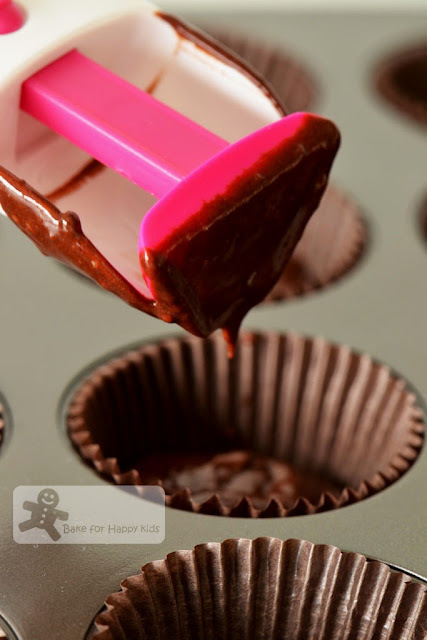 You can either use a spatula to spread or roughly pipe the frosting onto the cupcakes. Seeing this, I'm certain that these cupcakes are rightfully classified as devil's food cake. See how moist and rich it is. Convinced? 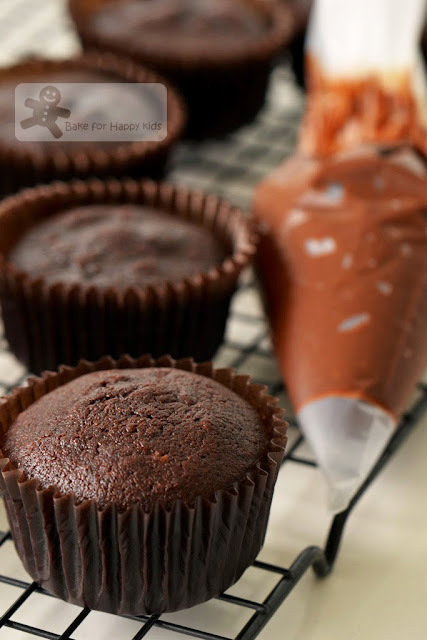 If you are convinced that these are very moist and chocolaty Devil's food cupcakes, I hope that you will bake along this recipe with Joyce from Kitchen Flavours, Lena from Frozen wings and me. * These cupcakes are not overly sweetened so please do not reduce these amount of sugars added. Preheat oven to 350°F or 180°C. Line 16 standard (1/3-cup) muffin cups with paper liners. 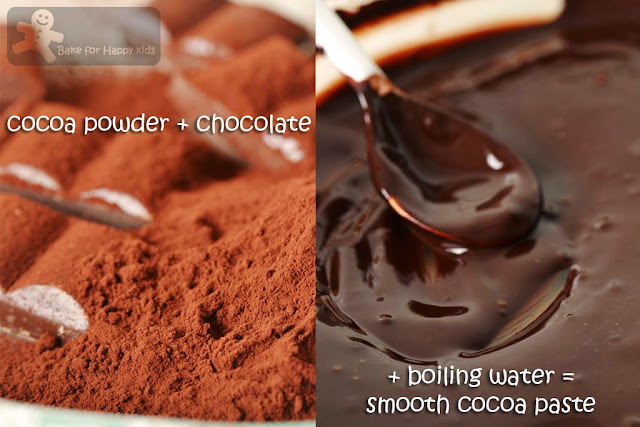 Combine cocoa powder and chocolate in medium bowl. Pour 1/2 cup boiling water over; whisk until smooth. 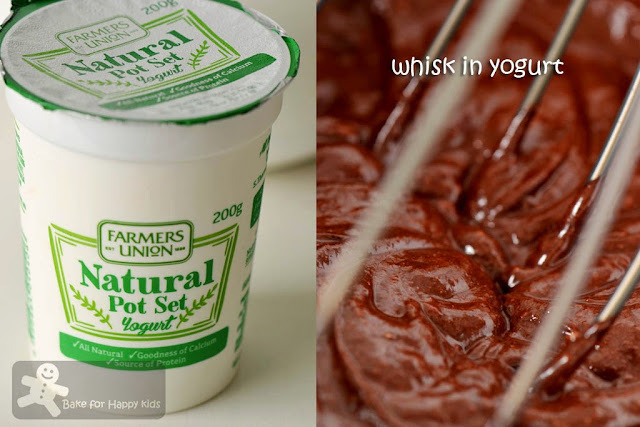 Whisk in buttermilk or yogurt. 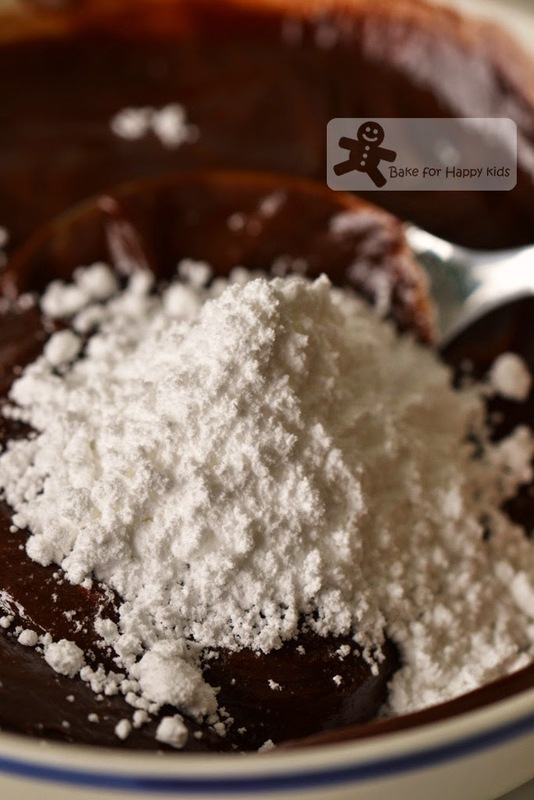 Whisk flour, baking soda or baking powder, and salt in another medium bowl to blend. 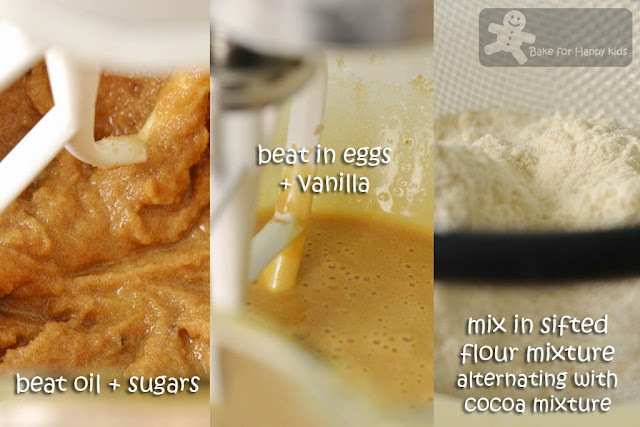 Using electric mixer, beat brown sugar, oil, 1/2 cup sugar, eggs, and vanilla in large bowl until light and creamy, about 2 mins. Beat in flour mixture, alternating with chocolate mixture in 2 additions. Divide batter among paper liners. Bake until tester inserted into center comes out with some crumbs attached, about 18 mins - I baked mine for only 15 mins. Cool in pans on cooling rack 10 mins. Transfer cupcakes to rack and cool completely. 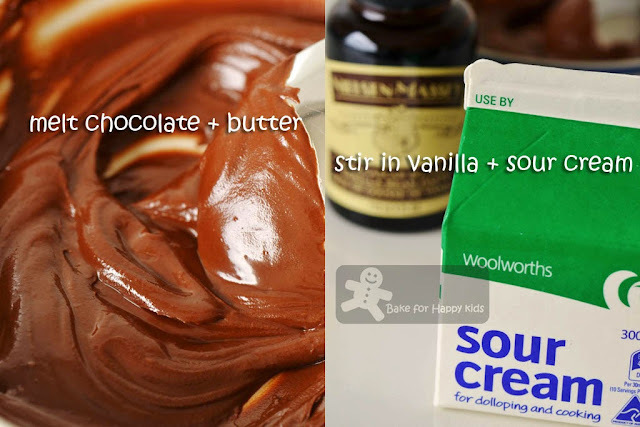 Stir both chocolates, cream (I didn't add this), and butter in medium bowl over saucepan of simmering water until melted and smooth. Remove from over water. Whisk in sour cream and vanilla, then powdered / icing sugar. Let stand until thick enough to spread, about 10 mins. I just baked one last week and it was our family's favourite! I like to deco it with strawberries to balance the bitterness of the dark choc. 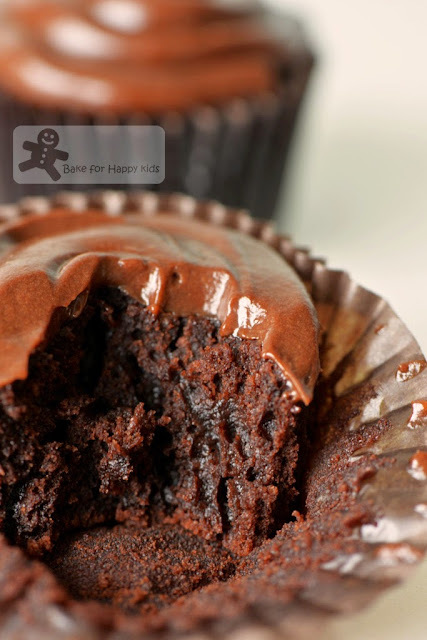 These chocolate cupcakes made with yogurt and oil are very moist indeed! Also, I love your no mess cupcake batter scoop!!! 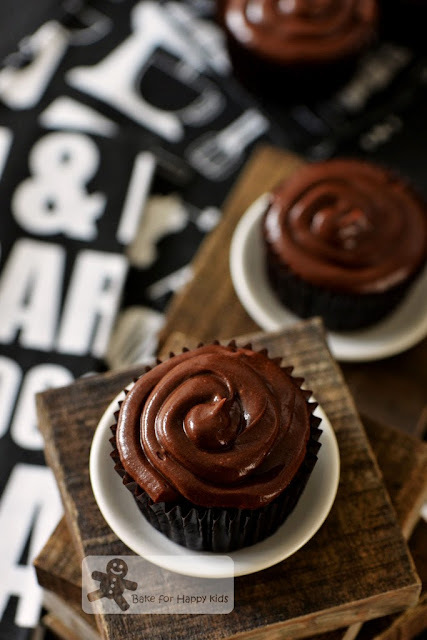 Yum ... definitely very rich & moist chocolatey cupcakes ! It is so moist and looking so good, I can't resist this devils food. Thumbs up to you, Zoe. Weel done... thanks for sharing!!! Gosh!! These look so sinfully good!! 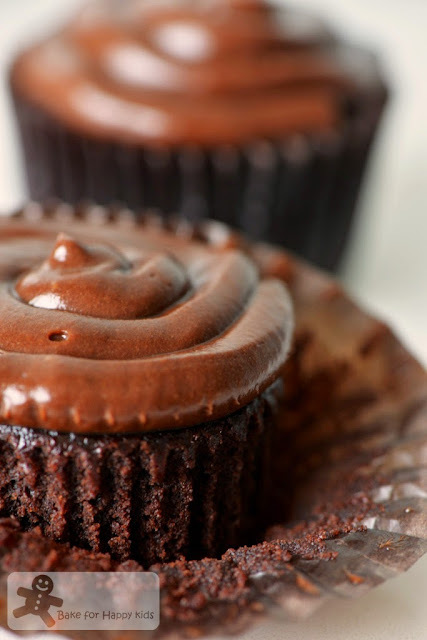 These cupcakes are so rich and moist and chocolatey. Wicked! Gosh, Zoe! That last pic makes me wish I could just grab it off the screen and eat! I'll see if I have time to bake some of these yummies during the weekend. What. A. Great. Treat. Irresistible cupcakes! Hi Zoe, I so, so love these chocolate cupcakes! So tempting! I want to eat that frosting with a spoon! This is so mouth watering. What a great recipe! They look brilliant! Yummy Zoe! These look like the most perfect moist cupcakes! I've been making more cakes recently but plan to make some cupcakes soon! These cupcakes are indeed delicious!So soft, moist and chocolaty! 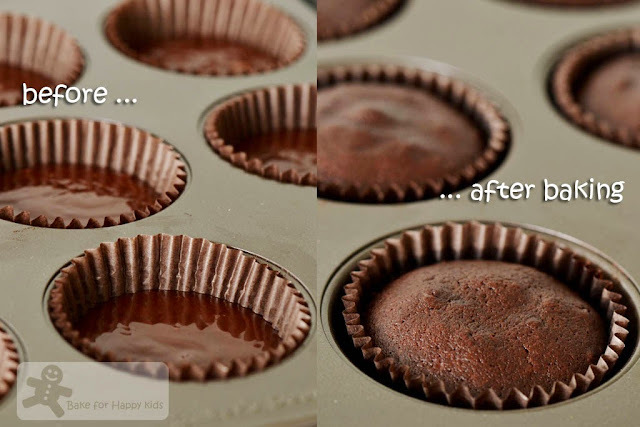 I use dark chocolate for the frosting and my kids love it. Thanks for a yummy selection! Glad I baked them! They're are good! 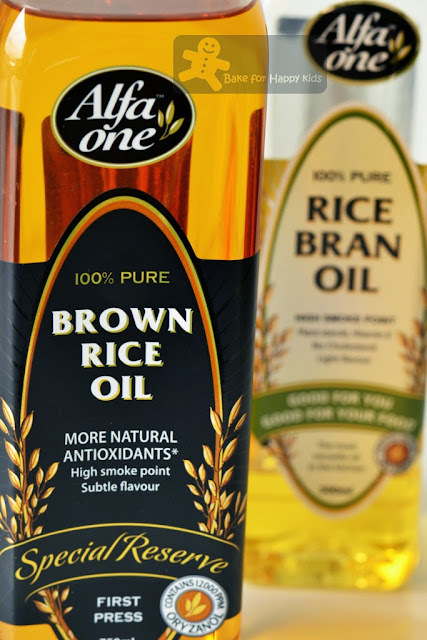 I just started following your blog after seeing you on a TV program and this is the first recipe I'm using. Gosh, it is darn good! Same as what the other have commented, it's really soft, moist and chocolatey. Together with the frosting, so delish! I'm sure it will be a hit at kids' parties. Looking forward to trying more recipes. Thanks for sharing! !